Recently I think I came across one of the coolest Halloween activities Provo has to offer. And yes I am fully aware that I say things like that often, but if you only check out one activity this Halloween, this is the one you need to do! A coworker of mine overheard someone talking about a ghost tour of Provo and told me about it so I did what anyone else would have done, I did some research on Facebook. 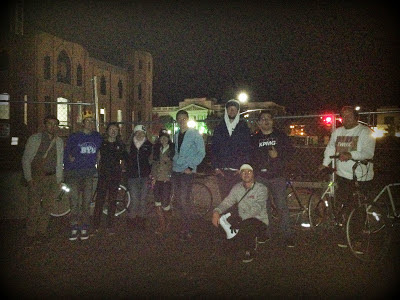 And sure enough I found the Provo Cycling Ghost Tours. Reading one post about this activity was enough for me to book our adventure. 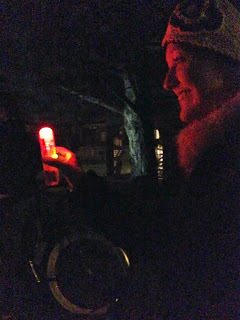 This is Provo Cycling Ghost Tour&apos;s first season being open and they did an amazing job! Derik and Max, the two who started this awesome tour, were inspired by Salt Lake&apos;s ghost tour. Realizing that Provo didn&apos;t have anything like this, they hit the books. They spent hours in the archives at the library researching the history of Provo and stories and events that have taken place in the area. Hats off to these two because they had some crazy stories to share. All that research paid off. So here&apos;s how the Ghost Tours work - you head over to this link here and sign up for the tour. They take place every Saturday through October at 10PM. You meet at the statue at Memorial Park in Provo (800 East Center Street) with your bike. And don&apos;t worry, if you don&apos;t have a bike or can&apos;t find a friend who will loan you theirs, you can rent one from them for $2. Best part of this tour is the price tag. It&apos;s $3 a person or $5 for a couple. AMAZING deal people! They accept cash only at the start of the tour. The online registration is just to reserve your spot. Once everyone has arrived, they hand out glow sticks to put on your bike and your ghost journey begins! The tour takes about an hour and a half and is approximately a 5 mile ride. Don&apos;t worry if you&apos;re out of shape like I am, there are no hills you have to bike up; it&apos;s a super easy ride. They take you to 6 stops along the way with a story to share at each location. My favorite part...they have a ghost detector that everyone gets a turn holding! It will flash red when a ghost is present. Red light = ghost. All you need to know. 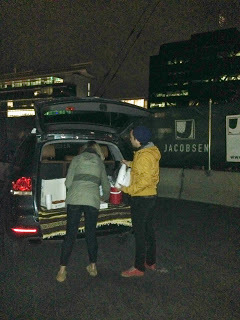 After all the cycling around, they even surprised us with Krispy Kreme donuts and Apple Cider. Needless to say we were all ecstatic. Now I would say this activity is appropriate for ages 13 and up. Mostly because you bike for awhile and the stories are creepy. We honestly had the best time last Saturday night. It was so different from anything else that Provo had to offer. 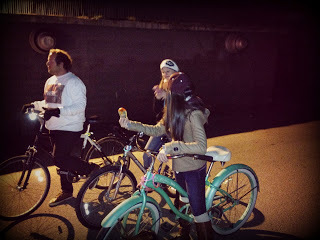 Provo Cycling Ghost Tours, I can&apos;t wait to do this again next year!